I’m a HUGE fan of OREOS – they’re one of the best cookies out there! But take that delicious cookie and use it in a recipe for something even more elaborate (yet still simple)? Yes, please! 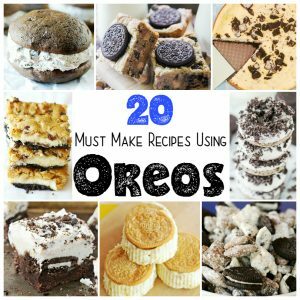 Here’s 20 Recipes Using OREOS that you just can’t miss out on! Check out that variety – cookies, bars, donuts, pies and many more tasty options to take your OREO-loving to a whole new level. I personally can’t wait to make the peanut butter OREO cookie bars. YUM! Which OREO Recipe are YOU most eager to try? I remember as a kid, every time my parents made cookie dough they’d give us a little spoon with some. I wanted to eat the whole bowl, but the whole ‘you could get sick’ thing got in the way! 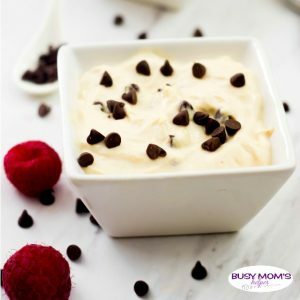 Now you can enjoy some delicious Gooey Edible Cookie Dough as a snack – even the whole bowl, since this version is healthier for you! In a big bowl combine the Greek yogurt, peanut butter, vanilla extract and honey or maple syrup. Divide into 2 or 4 small bowl and enjoy a healthy and delicious snack. You can place the Gooey Cookie Dough cups in the freezer for 10 minutes before serving. They thicken up even more and gives you the texture of a soft serve ice-cream. You can use vanilla flavored Greek yogurt instead. Then you won’t need the vanilla extract or any more sweetener. Who will YOU share this edible cookie dough with? I don’t know about you, but I get really snackish during the day. Since I’m trying hard to make healthier decisions, I thought it would be a good idea to get a bunch of healthy options together so it’s a quick grab when I get in the mood for a snack. 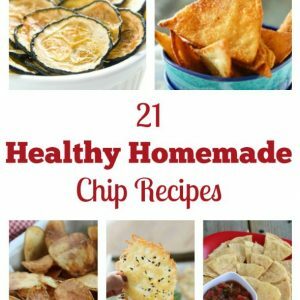 Since chips are such a great afternoon treat, here’s 21 Healthy Homemade Chip Recipes to help when that craving hits! There’s so many delicious homemade chip recipes to choose from, it may be hard to pick! Maybe you’d prefer the apple chips, or perhaps kale? Or maybe the peanut butter banana chips or garlic basil Parmesan are more your taste? Whatever you choose, these healthier chip recipes are just the ticket for those afternoon snack sessions! Cinnamon Pear Chips from Kleinworth & Co.
Salted Cinnamon Sugar Chips from Kleinworth & Co. Which Homemade Chip Recipe is YOUR Favorite? 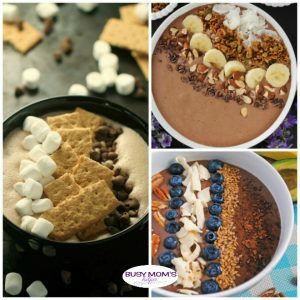 Basically that’s almost a MONTH of yummy chocolate for breakfast – I can definitely handle that 😀 Plus, I love a good smoothie bowl, so when you combine it with something as incredible as CHOCOLATE (yes, it’s obvious I’m a total chocolate addict) it’s a clear winner! You will not be able to resist these. S’mores? For breakfast? You bet! Peppermint hot chocolate? Oh yeah. Oh and you can have your cake and eat it too with the German Chocolate Cake smoothie bowl. You guys…these are so good! Have you ever tried to make your own candy? It can seem a little daunting, but I promise it’s easy! 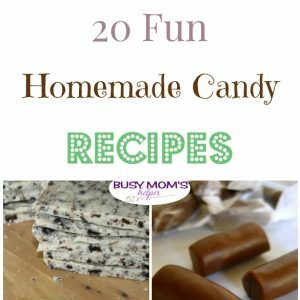 And if you love the rock candy at Disneyland like we do…well you’ll want to stick around for these 20 Fun Homemade Candy Recipes. As much as I try to feed my family healthy meals (and I do!) every now and then we have a little sweet tooth crop up. I’m just as guilty as everyone else (you know well of my love of Dr Pepper). But let’s face it, candy at the store is expensive. Am I right? Around Halloween, we all go a little broke trying to fill the treat bowl. This is why we love trying our hand at making our own candy. It really is much easier than you think, and with a little practice I can almost bet you’ll have a Pinterest board devoted to it. You can start that board right here! What’s your favorite homemade candy? 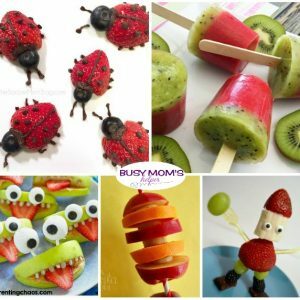 Hey busy moms! 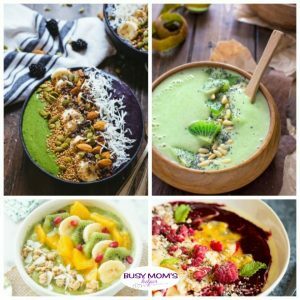 Do you often skip breakfast because you’re so busy getting kids out the door in the morning that you simply forget to eat? Well today, I’m sharing this yummy Banana Berry Chia Smoothie to help you fill the gap while you’re on the run! This is a fantastic recipe for sneaking fruit into your kid’s diet as well. 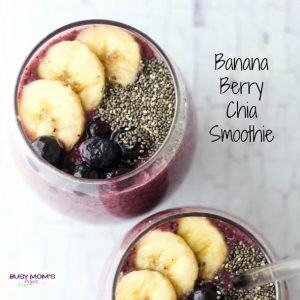 It’s chock full of yummy bananas, strawberries and blueberries and it’s got a healthy dose of omega-3 fatty acids, protein and fiber brought to you by the chia seeds. And they’ll never know it’s not just a yummy treat. 😉 I’m a sneaky mama, I admit it. In all honesty though, this is an amazing smoothie as a snack or breakfast in the car for you. Go ahead, give it a try! Have you ever added chia seeds to your smoothies? By now, y’all should know my deep love for Beauty & The Beast – the classic movie was my absolute favorite growing up, and now that I’ve seen the new live-action I’m even more fascinated by all the magic, adventure and true friendship and love. To celebrate the film, I wanted to share these 20 Beauty & The Beast Ideas, from LEGO figures, to crafts and recipes! These would be excellent for a Beauty & The Beast party, or just a fun movie night as a family. With cake pops and snacks, journals and costumes, you’ll be all set with plenty of creative Beauty & The Beast Ideas! 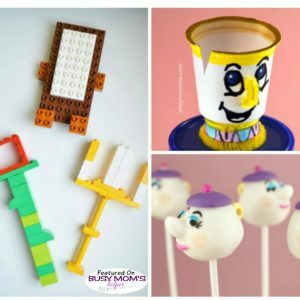 Which Beauty & The Beast Craft or Recipe is YOUR favorite? Does anyone else dream of vacations almost constantly? I sure do – I love remember fantastic trips we’ve taken in the past full of memories (the good, the bad, the hilarious and the downright embarrassing), as well as planning – realistic or not – future ones we can take. Looking back to my remarkably relaxing Carnival Cruise I took with hubby almost 5 years ago, it makes me want to relive it again. In a way I can, with this delicious Copycat Carnival Strawberry Bisque recipe! 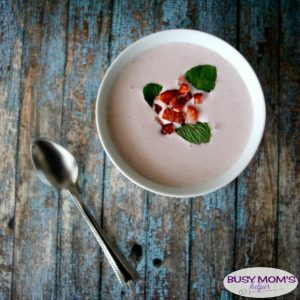 You’ll love how easy this strawberry soup is to make, and it’s so tasty you’ll have trouble deciding between having it as an appetizer, snack or even dessert! And yes, I do occasionally have it for breakfast, as well 🙂 Originally shared April 2013, updated February 2017. In a blender, puree the strawberries, milk, heavy cream and sour cream until smooth. Stir in the sugar. Refrigerate overnight (or about 8 hours). Add mint as a garnish (also adds a great flavor), and also some chopped fresh strawberries, if desired. ……and then poured the creamy soup over top. Great presentation! Note: also try it with PEACH instead to change it up a bit! The fruit soups were so delicious on the cruise, I often got them for dessert as well!!! Here in south, it’s not as cold as it is in other parts of the country, so I know many of you aren’t thinking of ice cream right now, but if I’m honest, we love a big heaping bowl of it even in winter. That said, just because it’s cold, doesn’t mean you can’t have the fun of strawberry, vanilla and chocolate flavors without the chill. 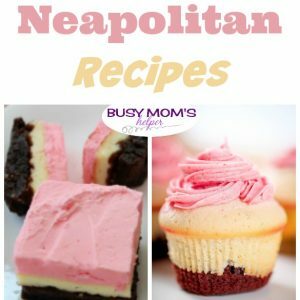 Today, I put together 20 Fun Neapolitan Recipes that don’t necessarily require ice cream, or even a spoon! 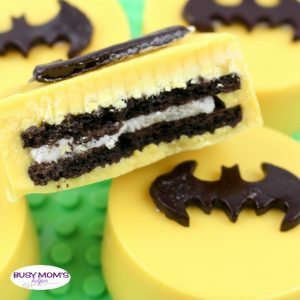 The best part is that there’s a little something for everyone and they are all kid friendly so they’d be perfect for a family gathering or a winter birthday! What’s your favorite ice cream flavor? Chocolate? Strawberry? Vanilla? Something else?